Small and compact, this tiny home still has all the essentials. 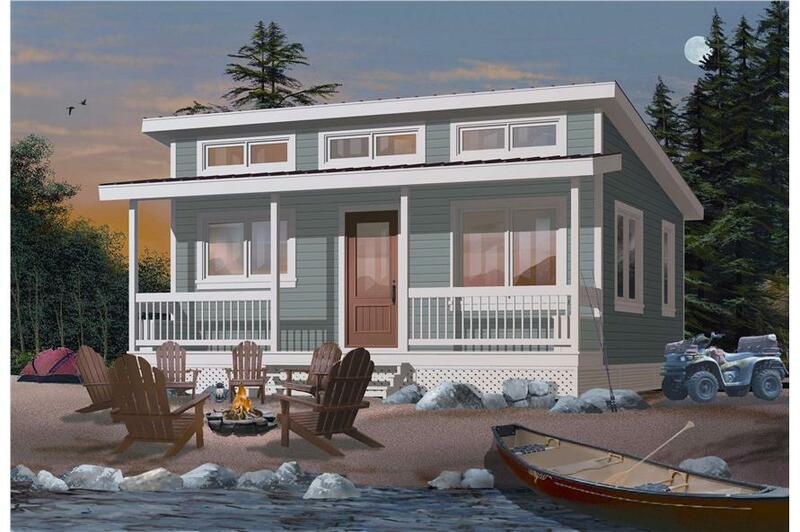 The house plan (#126-1000) has 480 living sq ft, 2 bedrooms and 1 bath. 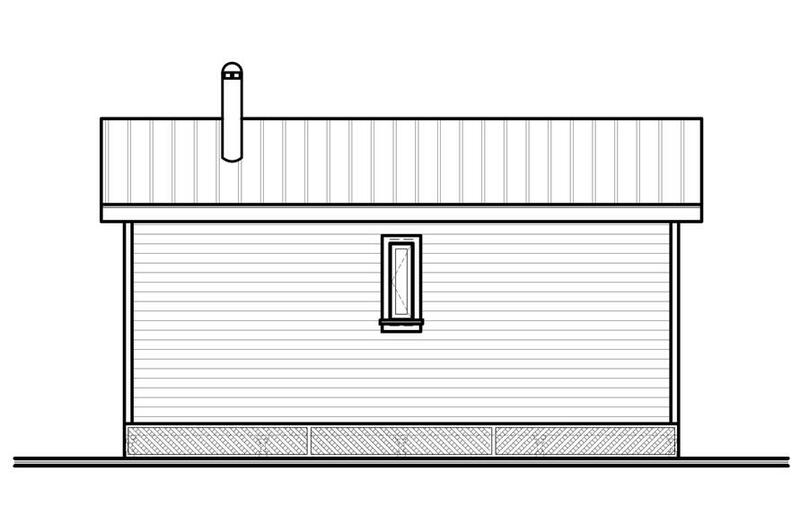 This retreat or tiny house is perfect as a vacation home or for empty nesters. The front porch allows for summer days to be enjoyed close to home. Through the front door, you are welcomed to view the open floor plan. The living room is small and cozy. The kitchen allows for a small dining area for friends and family.